The Callaway Apex Pro 16 irons were created with Tour influenced shaping and design with a classic look that better players demand. They feature a classic, authentic look and soft feel from quadruple net forging and the progressive flow weighting offers precision, playability and the MOI you need for each club. The longer irons (3-5) have more offset and a tungsten insert to lower the CG while the shorter irons (6-P) have a progressively higher CG for more control. 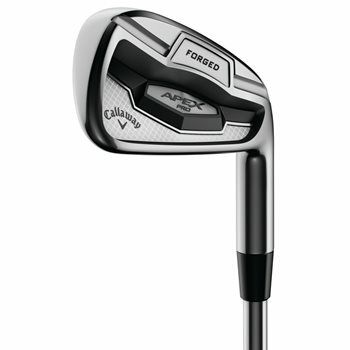 The Apex Pro 16 is a premium forged iron that’s engineered for world class players and skilled players alike. Is there a possibility of getting a photo of the actual clubs to get a sense of wear patterns?